Abdominoplasty—sometimes called “tummy tuck”—has a higher risk of major complications than other cosmetic plastic surgery procedures, reports a study in the November issue of Plastic and Reconstructive Surgery®, the official medical journal of the American Society of Plastic Surgeons (ASPS). The researchers assessed abdominoplasty complication rates and risk factors using the nationwide CosmetAssure database. CosmetAssure is an insurance program providing coverage for complications related to cosmetic plastic surgery procedures, which are typically not covered by health insurance. The study included nearly 25,000 abdominoplasties performed between 2008 and 2013, representing about 14 percent of all procedures in the database. Abdominoplasty is done to remove excess skin and tissue from the abdomen, to create a smoother, firmer abdominal profile. Ninety-seven percent of abdominoplasty patients were women; the average age was 42 years. Sixty-five percent of patients underwent abdominoplasty combined with other cosmetic surgery procedures. Overall, major complications occurred in four percent of patients undergoing abdominoplasty—significantly higher than the 1.4 percent rate after other cosmetic surgery procedures. (The database didn’t include less-serious complications that can be managed in the clinic). Hematomas (blood collections) were the most common major complication, followed by infections, blood clots (venous thromboembolism), and lung-related problems. Combined procedures were a key risk factor for complications. Compared to the 3.1 percent rate with abdominoplasty alone, risk increased when abdominoplasty was combined with other procedures: up to 10.4 percent when abdominoplasty was combined with body contouring plus liposuction. After adjustment for other factors, the relative risk of major complications was 50 percent higher with combined procedures. Diabetes and smoking—two major surgical risk factors—were not associated with a significant increase in complications after abdominoplasty. “That likely reflected Board-certified plastic surgeons’ practice of not offering abdominoplasty to poorly controlled diabetics and recommending strict smoking cessation for at least four weeks before and after surgery,” Dr. Wincour adds. 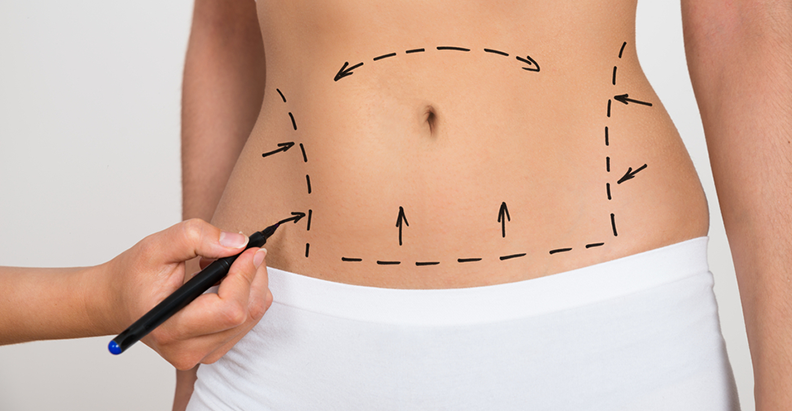 Abdominoplasty is the sixth most common cosmetic surgical procedure performed in the United States, with more than 117,000 procedures performed in 2014, according to ASPS statistics. The number of abdominoplasties has increased in recent years—partly because of the increased number of patients undergoing body contouring surgery to remove excess skin and tissue after massive weight loss. The study adds to previous evidence that abdominoplasty carries a higher complication rate than other cosmetic plastic surgery procedures. “Although the overall incidence of major complications is low, such complications can leave a potentially devastating cosmetic outcome and pose a significant financial burden on the patient and surgeon,” the researchers write. They draw special attention to the risk associated with multiple procedures—especially since nearly two-thirds of patients in the database underwent other cosmetic procedures combined with abdominoplasty. Dr. Winocour and colleagues suggest that some patients at high risk of complications might be better off undergoing staged rather than combination procedures.